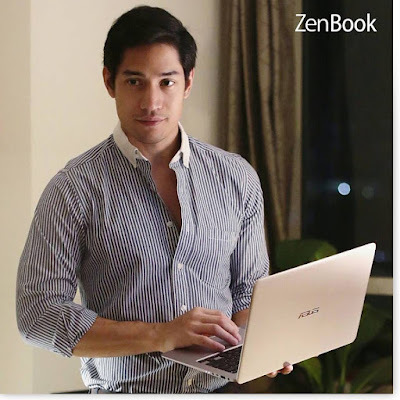 Last May 24, Asus Philippines together with country’s top Actor, Host and Blogger Victor Basa for a Fun and learning day as he share his experience his lifestyle and how ASUS Zenbook fits him. Being a Actor/Host/Blogger that is always On-To-Go he really needs a companion that suits his daily routine. Victor uses Asus ZenBook on his daily routine from checking emails, web browsing to editing files such as photos and videos. “Asus Zenbook fits me not just because of its lightweight and fashionable design but also for having a great hardware specs” – Victor Basa. he also adds One way I avoid stress is keeping all the files I need for work and personal use on my "ASUS#ZenBook UX305LA, having your most important data at an arm's reach and loading instantly is definitely a winner in my book." Asus Zenbook also known as the “Macbook Killer” with its superb specs, great design but much cheaper compare to other. With Asus Zenbook you can carry it whenever you go with its lightweight & slim design. Weighing as low as 1.3 kg’s and as thin as 14.9mm. But the great thing it also has beauty and power inside as the zenbook comes with powerful specs that help Victor in rendering Photos and Videos. It also has a stunning QHD Display that looks just as you’d expect from a such a beautiful laptop. About the battery and power consumption, it has a great battery and intelligent power management that can keep it working up to 12 hours with Wi-Fi connected. "One way I avoid stress is keeping all the files I need for work and personal use on my ASUS#ZenBook UX305LA, having your most important data at an arm's reach and loading instantly is definitely a winner in my book." All Asus Zenbook has a 2-Years Global Warranty in parts and services. For more updates about Zenbooks follow Asus Philippines at Facebook and Instagram. Follow us at Gizmo Manila Facebook Page, Twitter and Instagram.